MingmaNuru Excursions Pvt. Ltd.Ama Dablam Expedition - MingmaNuru Excursions Pvt. Ltd.
Ama Dablam is regarded as one of the world’s most beautiful and sought-after peaks, alongside the Matterhorn and Khan Tenors. The experienced mountaineer will found the South East Ridge. Which is easiest, a good challenge. 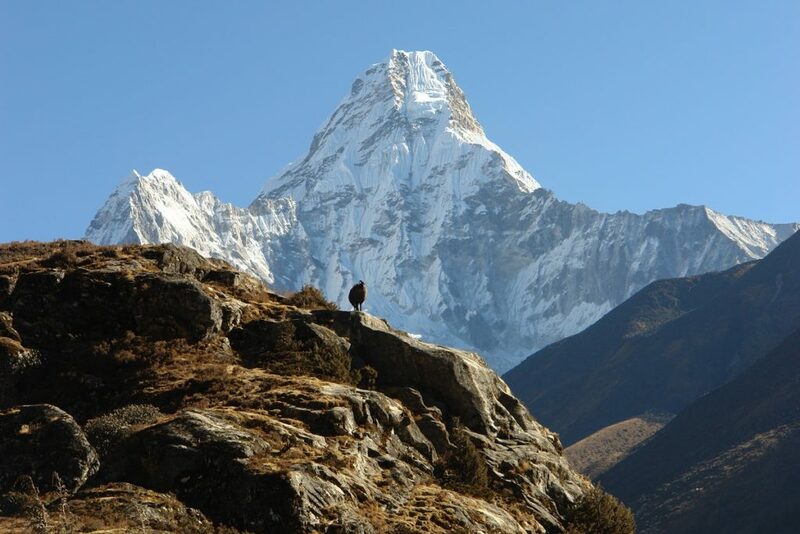 Ama Dablam is a serious climb requiring extensive use of ropes and equipment. If your climbing experience is limited or your skills are in need of a tune-up, we prefer you to join us beforehand for our Himalayan Three Peaks trip. This would pre-acclimatize you and ensure a thorough brush-up on skills for your ascent. The ascent to Camp one at 5800m is quite straightforward from which point it gradually steepness’ as we move onto the rocky South-West ridge. The final approach to the summits is on snow slopes up to 45 degrees. We have had good summit success on all our previous expeditions.